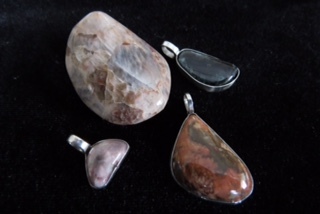 The gemstones we specialize in are from the northern most part of Michigan in Keweenaw county. Some of the rarest minerals on earth come from this area and are stained with seemingly endless specks of copper. 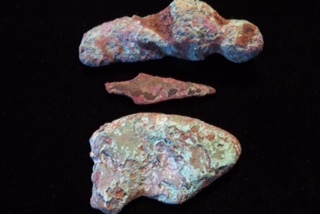 These small pieces of copper and copper oxide can give these rare stones a beautiful display of colors that show stunning varieties of pink, orange, red, blue and green. A walk along Lakes Superior's coastline is a great way to find varieties of prehnite, datolite, and greenstones. Most great stones are local to a very specific spot. For example, A particular type of prehnite may only be found for a half mile of coastline and then vanish. A collector looking for this type of stone must have either the knowledge or luck to find one. Similar situations with different stones share the same occurrence and collectors try to keep these secret spots from being discovered. 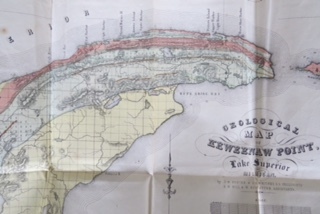 Studying the history of the Keweenaw peninsula is a way collectors try to appreciate the great mineral resource we have in Michigan. 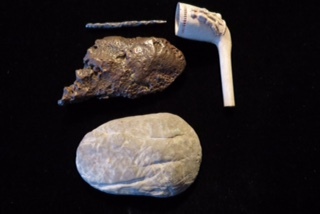 Seasoned collectors make good use of studying the history of Keweenaw county and how people used the orange medal to make spear heads, fish hooks, carving tools, arrowheads, and knives. The Native American Indians and the Vikings prized the minerals and used them to make "beads" trading them as currency.